Fights over the Colorado River's most significant tributary are longstanding, intractable, and only getting worse. 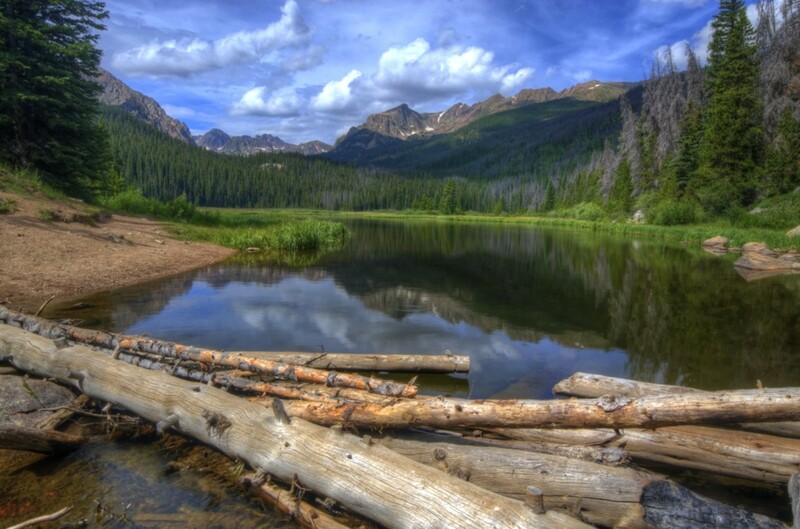 Lower Boulder Lake Dam on August 13th, 2014. The end of the irrigation ditch is a corrugated pipe partially pinched shut by a piece of sheet metal. Randy Bolgiano, who runs the Circle Nine Cattle Ranch outside of Boulder, Wyoming, is standing in a hayfield just past the end of the pipe with a shovel, slicing off a piece of sod to block the trickle that flows out of it. The water runs into a channel along the edge of the meadow, and by blocking and pooling the flow, then pushing it out toward the field, Randy can inundate his hayfields, irrigating them. Randy and I had four-wheeled out to this end of the ditch, which isn&apos;t far from the house where he lives with his wife, Twila. It&apos;s threatening rain, the sky hanging gray and heavy, as we walk down the channel to move what he calls trash—hay and other downfall—to temporarily dam up his channels. He calls it shovel irrigating and says it&apos;s the most low-tech way to irrigate, but it seems to work pretty well; the fields are green and glowing. When I ask him why they do it this way, he rolls his eyes a little and says it&apos;s because it&apos;s what they have. There are cows with brand-new calves in the fields beyond us. Circle Nine, a cattle ranch where the only thing they grow is hay to feed the animals, is typical of the agriculture at the foot of the Wind River Range. That, Randy says, is because nothing else besides grass, not even grain, will grow out here in the high desert steppe of the upper Green River Basin. He calls the ranch a "sand pile," a "gravel pit," and says that flood irrigation is the only way to get a viable harvest in the narrow window between spring thaw and fall frost. The ranch has been around for 50 years, and it has rights to water through the Boulder Irrigation District, which allocates water from Boulder Creek, one of the Green&apos;s first tributaries. Seniority and source are important in the competition for water. The district has water rights dating to 1919, and Randy gets two cubic feet per second for every 70 acres of land he ranches. Water in Wyoming, in the West, and specifically in the seven states that drain the Colorado River Basin, is monitored like this—down to the drop. Randy knows exactly how much water he gets, and where it comes from. When he wants it, he calls the ditch rider, who operates the district&apos;s canals, and asks for his water to be turned on. It flows down a series of increasingly narrow channels and eventually gets here, to the end of this pipe. Randy is both a rancher and a member of the Upper Colorado River Commission, which oversees interstate water planning. Agriculture uses the vast majority of the Green&apos;s water, and before I get too far downstream, I want to understand the complex, interlocking legal framework that determines the way water is used across the West. Everything else about how water is managed cascades out from that. And Randy, who is tapped into the interstate legal mesh of water rights, but still needs to make a working ranch work, sees the big picture and the minutiae. Downriver: Into the Future of Water in the West. So now I&apos;m here, four-wheeling across a flooded field in a pair of borrowed waders, trying to grasp who gets what water and why, and trying to hold onto the pitchfork Randy placed across my handlebars as we throttle out into the rain. Across most of the West, water law, and who has rights to how much, is based on the Doctrine of Prior Appropriations, which states that whoever was first able to put water to beneficial use—regardless of where they were on the river system—was entitled to primary rights. "First in time, first in right," the saying goes. The doctrine stems from the California gold rush of the 1840s, when it was set up to make sure that a miner couldn&apos;t come in upstream of an existing claim, divert the water, and dry up the downstream stake. The miners knew water was a limited resource, so they instituted a standard for how western water would be allocated and when it could be used. Even if you&apos;re physically at the top of the stream, you don&apos;t get your water until after everyone who has rights senior to yours gets theirs, and if you don&apos;t put your water to use, you lose your rights to it, so you can&apos;t hoard unused water rights. Because the Green is the biggest tributary of the Colorado River system, the amount of water available for the divvying is decided by the Colorado River Compact, a 1922 agreement that delineated how much water was in the Colorado River Basin and how it should be split up. That compact is the cornerstone of a body of agreements and treaties that are referred to as the Law of the River. 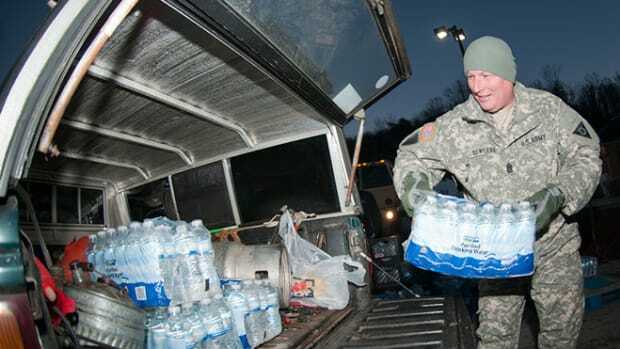 It sets out how much water each state is entitled to and how it&apos;s delivered to them. It’s a rigid framework for a system that’s inherently variable, but that Law of the River became the foundation for growth in the arid West, where stream flow is seasonal, inconsistent, and not equitably spread out across the land. Everything that happens on the river today is predicated on the compact and how it divides up the water—there wouldn’t be major cities or widespread agriculture without it. But it has one huge, fundamental flaw: It was agreed upon during the wettest period in recorded history. The flow was split up based on an 18 million acre-feet-per-year figure, but the longer historical record shows that, on average, closer to 13 million acre-feet flows through the basin each year. People who depend on the Colorado River Basin are currently using about 15 million, because that&apos;s how much the compact allocates. Even a washed-up raft guide who doesn&apos;t like math can see that those numbers don&apos;t line up. There&apos;s more water allocated than actually exists in the water system, and if everyone used the share they’re legally entitled to, there wouldn&apos;t be enough to go around. Water experts call this imbalance a structural deficit. At some point, the hard numbers of the compact won&apos;t be attainable. Randy says that, to understand agriculture, I need to see where the water comes from, so we drive up to the beginning of the ditch, which takes almost an hour. He locks the hubs on an old red flatbed F-250, and we follow the grid of canals out to the main road. We hit Route 191 and head north, toward Pinedale, the neighboring oil and gas boomtown that&apos;s currently busting. The Pinedale Anticline, the sixth-largest gas field in the country, is another significant water user in the area, but right now there aren&apos;t many new wells being drilled because prices are low. Hail plinks against the windshield as we turn onto a dirt road that transects the neighboring ranches. I start to pay attention to where the fields are green and where the water pools up alongside them. Now I realize that everything that isn&apos;t sage or scratchy shrub is green for a reason. Randy points to the slight rises in the fields. "Every one of those is a ditch," he says. Once I start to notice, I can&apos;t not see them. It&apos;s an incredibly complex, ever-present network. To push water downhill, the ditches have to follow the subtle contours of the terrain. They form a latticework of potential, waiting to be filled with moving water. There&apos;s no power, only gravity. "It seems like such a huge engineering project," I say, staring out the window at the grid of green, thinking about how much work homesteaders must have put in to make their presence tenable. Randy looks at me side-eyed, like I&apos;m slow on the uptake. "Why do you think they call it the state engineer&apos;s office?" he asks. Nothing is here by accident; it&apos;s all a carefully built, additive set of laws and landscape changes. We end up in the granitic moonscape around Boulder Lake, the man-made reservoir that releases Boulder Creek. The hail has subsided. The fog highlights the gold in the sagebrush, and we walk through the mud across the Boulder Lake Dam. This is where Randy and Twila bring their cattle in the summer, to a higher range on U.S. Forest Service land, and it&apos;s also where all the water in the district comes from. In parsing out how much water he uses, Randy thinks about the grass he&apos;s growing and how to keep his cattle healthy, but he also thinks about the rest of the ecosystem: the migratory birds, the pronghorn, the way the saturated soil releases water through the fall and winter. His livelihood depends on keeping the land healthy, and he&apos;s looking at it every day. He says his irrigation recharges the aquifer. It provides habitat for sandhill cranes. It transforms the granite gravel pit into what he calls an oasis. Irrigation is how the landscape became livable—the present reflects the goals of the past. That&apos;s what he considers conservation. His vision for the best way to manage water into the future is based on his reality. He hears people downstream talk about taking water out of agriculture to send to cities, and he thinks it&apos;s short-sighted, that they should focus on the top of the basin and take advantage of the natural reservoir that aquifers provide, especially when runoff from flood irrigation trickles down into the water table. "It&apos;s a hard concept in a culture that reveres conservation in the form of using less," he says. "There&apos;s lots of hyperventilation to conserve water just to comply, but it doesn&apos;t serve the entire system." Randy isn&apos;t wrong, and neither are people like Colorado River Water Conservation District General Manager Eric Kuhn, who look at the balance of water in the basin from a more pulled-back perspective, and who think cutbacks should come from agriculture. The challenge is that it&apos;s impossible to sustain both the future of small-scale agriculture up here and large-scale water use across the basin. It&apos;s even harder when you&apos;re trying to manage for an unknown future and basing your stake on an unreliable past. The overarching Law of the River, with its built-in incentives to use a share until it&apos;s gone, makes change unappealing and risky for ranchers like Randy. It delineates how every drop of water along the river is used, but it&apos;s a broken system. We ride back down, retracing the canals, the red truck slipping in the mud. Randy points out hardscrabble ranches carved out of tricky terrain, where getting water down the ditch is much harder than it is on his flat, even fields, and the ticky-tacky new subdivisions that sprang up to house the oil-field workers when they were here. "People need to live aligned with the desert they live in," he says. "It&apos;s a philosophical question. Are we doing the best good by flood irrigating? I think we are." 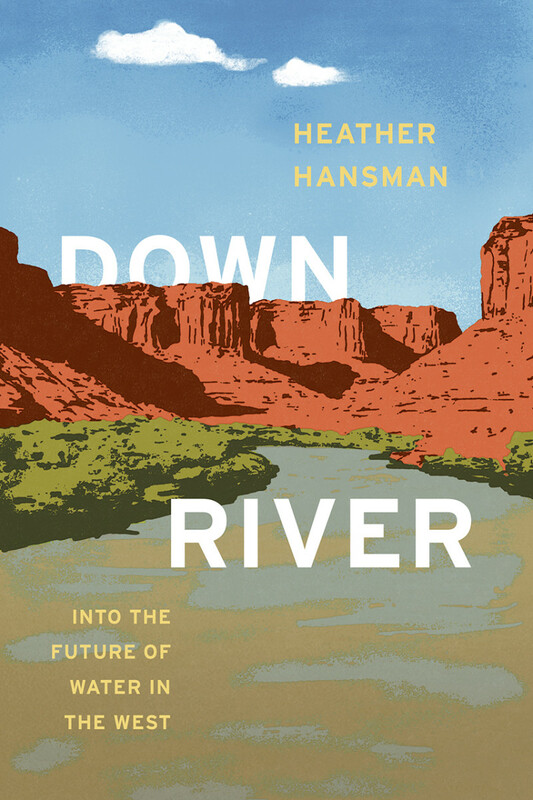 An excerpt from the book Downriver: Into the Future of Water in the West, © 2019 by Heather Hansman, published by University of Chicago Press on April 2nd, 2019. Heather Hansman's work has appeared in Outside, California Sunday, Smithsonian, and many others. When will we stop heroizing men for risking the world along with their lives? 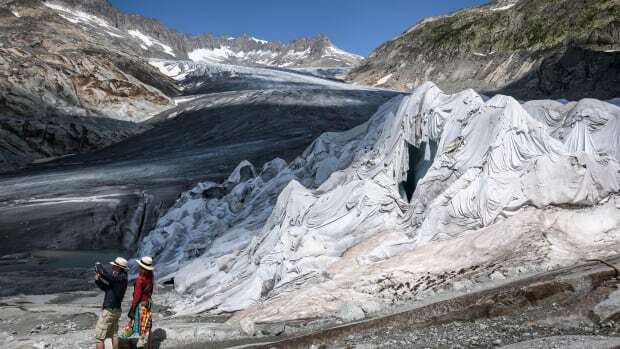 In his new book, David Wallace-Wells lays out the grim scenarios that await humans under climate change—but also his reasons for hope. The recent contamination illuminates just how tenuous and vital the safety of our water is. With 90 percent of its water diverted for agricultural and urban use, scientists and managers have to get creative about how they go about habitat restoration on the Colorado River. The author, who also suffers from the illness, discusses her new essay collection—a fresh and visceral study of schizophrenia.